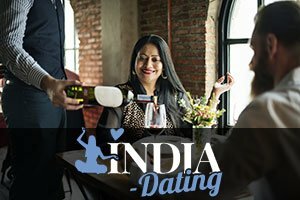 Even though online dating became one of the most popular things to do on the internet all around the world (and especially in India over the past few years) – it still has its own downsides, flaws, and pitfalls. However, those downsides can actually be used to your own advantage, you just need to approach them the right way. Yes, some dating sites have too many options and you simply can’t make up your mind, so you scroll endlessly. It’s highly possible for a person to build up unrealistic expectations while chatting with a potential match without even meeting them in person, but you can actually benefit from all these “downsides” if you’re clever enough. That’s why we decided to tell you which are the 3 most common pitfalls of online dating in India and how you can use them to your advantage. People who try online dating tend to lose themselves in countless options and thousands of interesting profiles they find on a dating site of their choice. That can actually be a huge problem for some users, because even when they find someone who could possibly be their perfect match, they simply can’t settle down knowing that there are still thousands of interesting profiles out there. If there’s even a tiny possibility for them to find someone better, they will keep searching forever and that’s how they get addicted and miss the opportunity to contact their true soul mate. In order to use this hazard to your own advantage, you need to be smart, patient, and composed. The huge member base allows you to easily find people with similar interest. The trick is to search only for those people and ignore other profiles. However tempting it may seem, don’t pay attention to them. Create your own personal group of users with similar profile descriptions and interests, for only then will you be able to narrow down your search for your perfect companion. This may be a problem on a dating site, but if you’re cunning enough, you can benefit from this issue rather easily. Most of those people who are not willing to commit are looking for a one night stand or some casual fling. Those members are easily detectable simply because they don’t have patience for longer chats. They want to hook up as fast as they can, but if you try to prolong the conversation, you’ll quickly find out who is really interested in you, and who is there only to trick you into having a one night stand. This is, without any doubt, one of the most common pitfalls of online dating. People tend to build up expectations after just a few successful chats and that is a huge mistake. However, there is a way to use these conversations to your advantage. The crucial thing is to be patient and not rush into things. If you have a couple of interests in common with your potential match, don’t arrange a meeting just yet. Use that information to find out more things about that person, for only then will you know for sure if this person is truly your potential match.